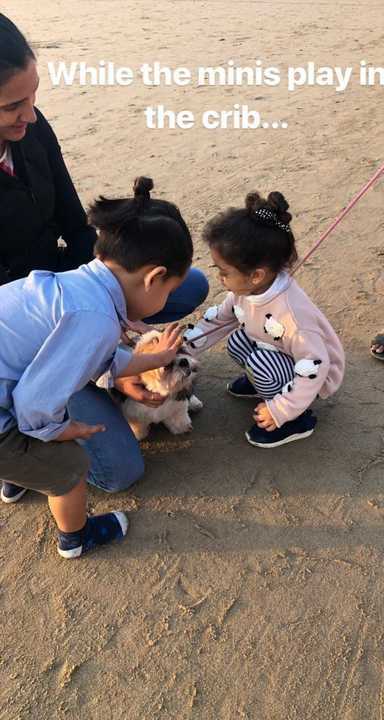 If I wanted to redeem one of my three wishes, I would ask the genie to send me to Mumbai so I can play with Shahid Kapoor and Mira Kapoor's first born, little Misha, and the cute doggo at the beach. 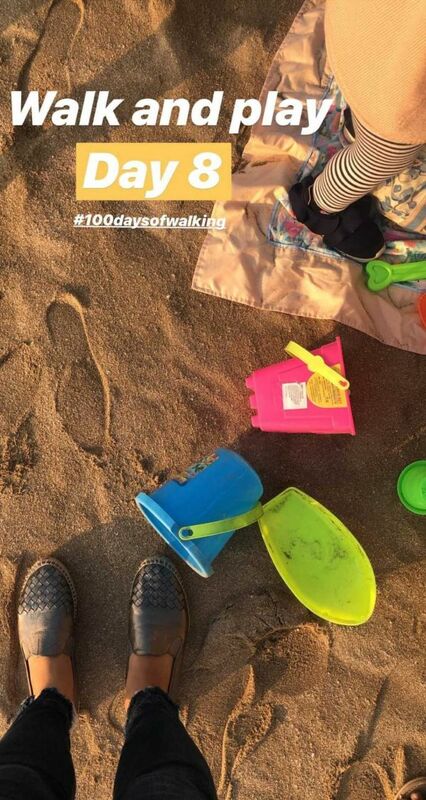 If you follow Mira Kapoor on Instagram, you know that the new mommy is on an exciting '100 Days Of Walking' challenge. 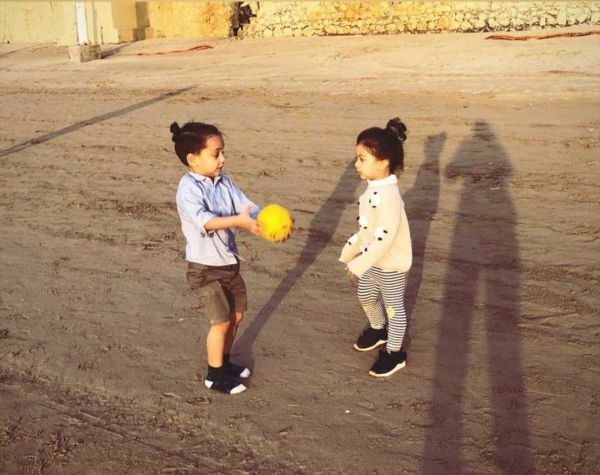 But yesterday, it turned into "Walk and play" when Misha Kapoor joined her mother for a fun run. In case you missed it, here are the pictures that Mira posted on her Instagram and made us miss the beach for a whole new reason. A picnic mat, a fort-building kit, a beach ball and a furry little friend, this play date had everything. And how cute is that panda embellished sweatshirt? We know where she gets her fashion skills from. 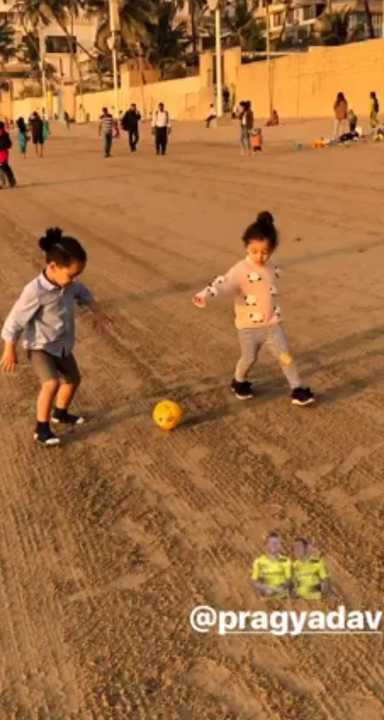 While the grown-ups Mira and friend Pragya Yadav were busy taking pictures of their kids playing, we were busy having a flashback of our childhood. 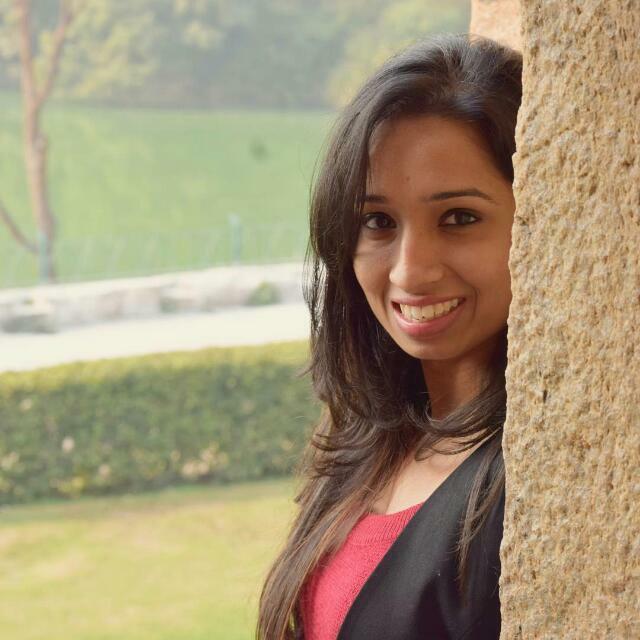 Pragya is one of the producers of the Sara Ali Khan and Sushant Singh Rajput starrer Kedarnath. 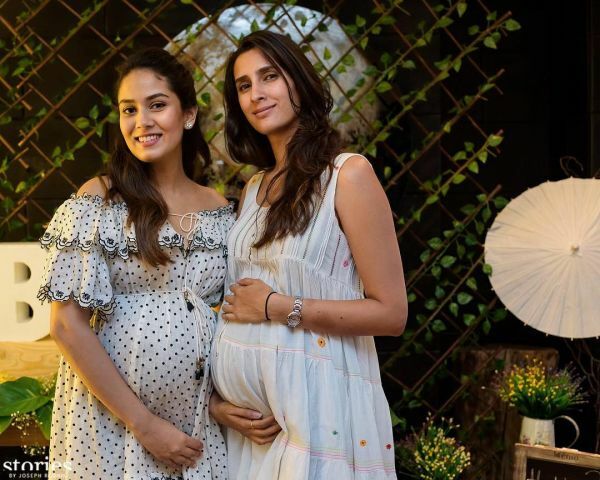 She's married to Abhishek Kapoor who directed the film. But her and Mira go way back. In fact, they shared their second pregnancy days. While Mira was expecting Zain, Pragya was pregnant with Isana. Isn't that the perfect kind of #BFFGoals? Ugh! Coming back to Misha, during the play date, looks like the two-year-old made a new friend and we can't handle how cute he is. 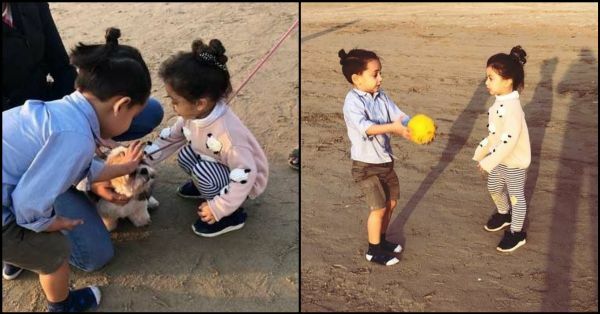 Well, now we all know what is the one thing common between us and this celeb kid - our mutual and immense love for dogs. Now, who wouldn't want to join the #100DaysOfWalking challenge, eh?